Brodi Ashton: Find Me at SCBWI and You'll Get a Surprise! hint: It's EVERNEATH swag! Find Me at SCBWI and You'll Get a Surprise! hint: It's EVERNEATH swag! Tomorrow, I leave for the SCBWI conference in L.A.
To celebrate, I have some special EVERNEATH swag for anyone who finds me there and says, "Hello." Remember that awesome DEAD ELVISES logo my friend sent me? Well, I have had it rearranged and printed on... guitar picks! An actual Dead Elvis strummed with this guitar pick. I guarantee it. 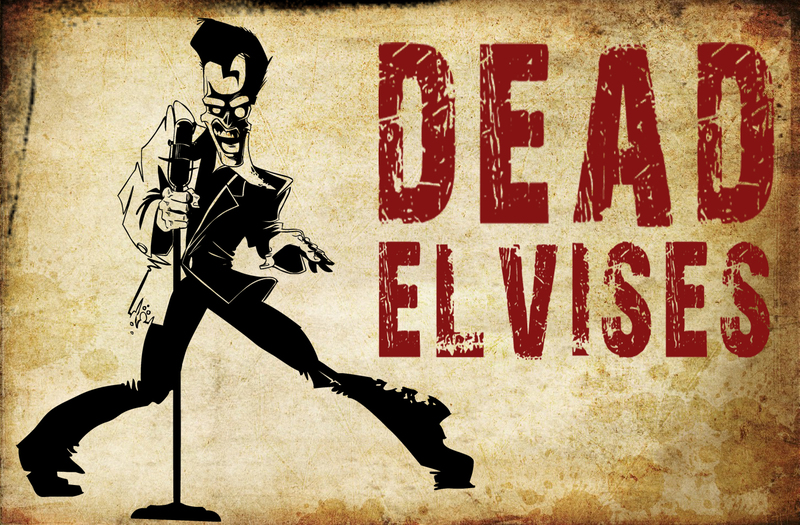 They've got the DEAD ELVISES on the front, and EVERNEATH on the back, with the release date of January 2012. These awesome little commemorative doohickees will be in my purse, and if you come up and say hi to me, you'll get one! Whether you like it or not. No, seriously, even if I think you just happened to glance at me from across the room, I will leap frog over the other conference-goers and shove this pick into your cold dead hand. I don't know why you are dead in this scenario. How did it get so dark in here anyhow? The point is, you can either take the picks nicely, in your hands, or you can take the pick between your eyebrows, chinese-star style. Here it is. The point is, introduce yourself to me! And you'll get a treat! But not in a creepy way. Why did I need to clarify that? Argh! Does someone have a crash-course in appropriate self-promotion that I can take? Anyway, I'm easy to spot. 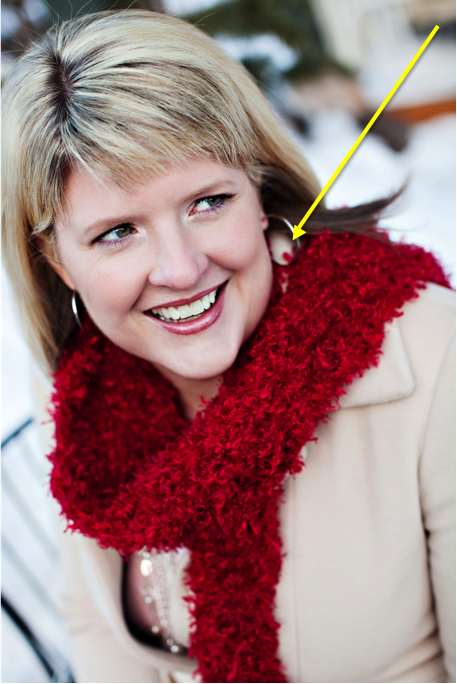 I have blond hair, a red scarf, and I'm always looking off to the side. And I usually have a zombie finger with red nail polish on my shoulder. People have asked me what this finger is doing on my shoulder. I tell them it is the finger of my muse. She likes the red nail polish. Wait. Sam says that is not the point. Ah, here it is. The point is, hope to meet you at the conference! You're so funny! I never noticed the "zombie finger" in your picture. Of course, I can tell what it really is, but the zombie finger is much more fun. Those guitar picks are awesome! I wish I played the guitar so I had a reason to stalk you at SCBWI, even though I'm not going to be there anyway. Wait, what I was I saying? Never mind. we NEED one of those--for grace's guitar! LOVE EM! she will love you forever...she already worships you. Jenni- Come stalk me at SCBWI. That means you'd be in L.A., and everyone loves a trip to L.A. It's high time you start going to this conference. You'd seriously love it! Brodi! I'm staring at you from across the room! Okay so the room is several states wide, and you probably can't see me. But I'm waving! Hi!!! Now where's my pick? Can your muse throw this far? Dorien- I will leave one in your mailbox. Today! Robin- Okay, my muse is cocking her arm, reaching from deep within, and now she is throwing the pick toward Idaho! And... it landed in my kitchen. Total bummer. If only your muse was also Superman! I know. It would be a lot of fun to attend that conference. But, it requires time and money, both of which I have negative amounts. Oh, Brodi, your Zombie finger cracked me up. Don't you hate those quirky little things that show up in photos. I say it's Peeves. Has to be. But seriously, when is there going to be a line of t-shirts for the Dead Elvises? Or are you going to do it like Bree's polish and save them for signings? 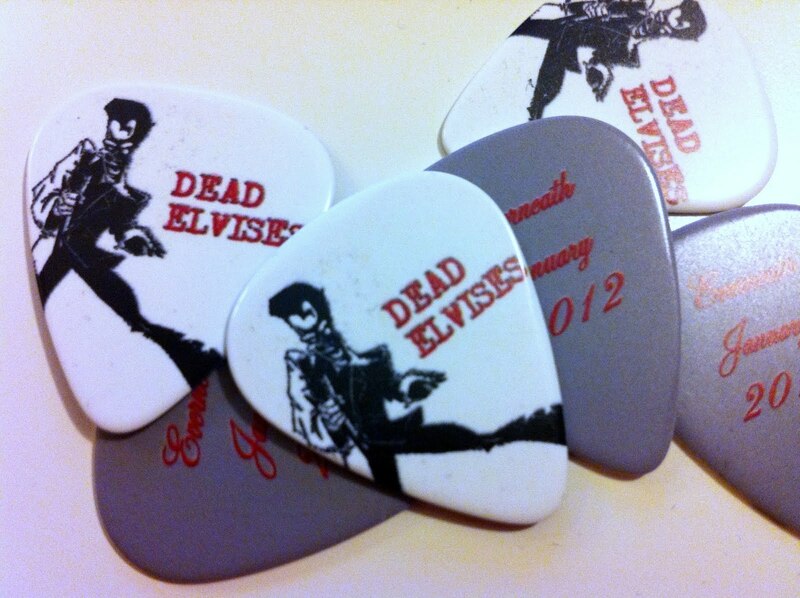 The guitar picks are a brilliant giveaway with the t-shirts for purchase. Jenni- I hate how everything requires time and money. Donna- I love my little zombie finger. I think of it as the finger of my fairy godmother. I'm reading this at work *WHAT?! SLACKER!! * and after snorting my Dr. Pepper & wetting my pants from laughing so hard, I had to read the whole post to my boss to justify myself. But she then also peed herself, so I'm in the clear. :) Good stuff, Brodi. I wont be there but I'd totally raise an eyebrow in greeting from across the room just to see you leap frog all those people. Oh how I wish I was going to the conference if only to see your zombie finger in action...enjoy! Jenny- And I would totally chuck a pick toward that raised eyebrow! Amanda- I wish you were going to be there too! My zombie finger wishes it even more. Uh . . . I'm obsessed with the zombie finger now. And annoyed that I planned my vacation before I learned of the glory that is SCBWILA. Dear self: Duh. Jill- Can't wait to give you one in person! Someday. Way to think outside of the bookmark. Coolest idea ever. I might just have to steal it!